June 13, 2016 – Mausumi Dikpati has recently been promoted to Senior Scientist at the High Altitude Observatory (HAO) in Boulder, Colorado. Mausumi received her PhD in physics from the Indian Institute of Science in Bangalore. She began working at HAO as an Advanced Study Program Postdoctoral Fellow and she has since continued her career trajectory within NCAR. Dikpati’s primary research interests are in the area of hydrodynamics and magnetohydrodynamics of the solar convection zone and tachocline, with particular focus on solar dynamo theory and applications of data assimilation to solar prediction problems. Her work on solar flux-transport dynamos has created a paradigm shift in understanding how the solar dynamo works. Dikpati was the first to build a physical model-based prediction scheme based on numerically integrating forward in time the relevant laws of physics. She won the John Firor HAO Outstanding Publication award in 2007 for her first solar cycle prediction paper. Her research on the extended minimum at the end of solar cycle 23 was recognized as one of the top 100 discoveries in 2011 by Discover Magazine. Recently Dikpati has been one of the pioneers in the application of modern data assimilation methods to solar dynamo models, using the NCAR-DART framework. Currently she is representing HAO on the NCAR Data Assimilation Initiative Committee. 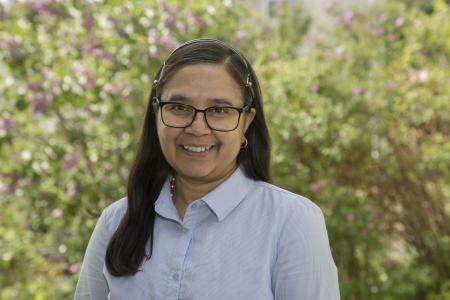 Dikpati has also been active in education, supervising several REU and graduate students as well as teaching a course in space weather and climate, as an NCAR woman scientist to participate in the UVISIT program of UCAR.